ZoZoom unifies the unorganised automobile service industry into a single organised platform for Multi-brand Vehicles, where you can book your car for different services like wash, service, repair etc. in just one click of a ZoZoom app or website to make life easy for the customers, all at its fingertips. 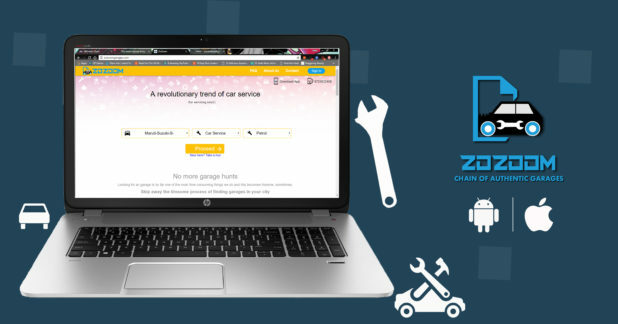 From a Customer perspective, you can explore 6 different services on zozoomgarages.com, where the major concern is to explain the customer, what all spare parts and lubricants are required by their car at the respective service on the basis of odometer reading and Inspection devices used by the Service Engineer. That’s what ZoZoom stands for Transparency, Easy booking and Fast Service. Car Inspection by skilled Service Engineer using automotive tech-enabled devices, which will help to find actual requirement by a car while Regular Service. Transparent price quotation will be delivered to the customer prior to the service so that a service price should be already known. ZoZoom certifies the workshop over 30 points which include requirements such as genuine Spare parts, Labour, Machinery and tools etc. , to build a trust over Multi-brand Workshop for our customer to provide the best quality service in town. 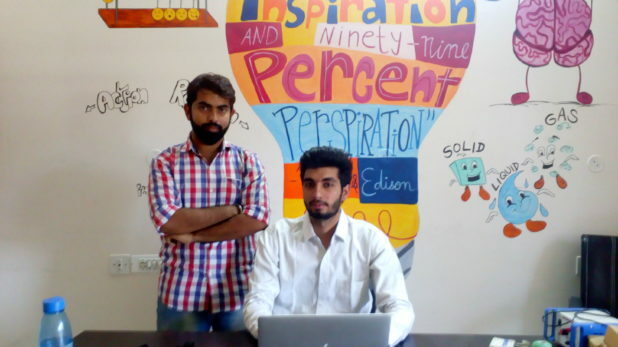 ZoZoom started in July 2015, When Ankit bajaj and Rahul Prigawat came together had a discussion over this idea, and survey form started spreading over colleges, workshops and malls. The survey form helped us to understand the problem in a better manner, and people were keen to use such tech-enabled platform. In October 2016 Kshitij Burman, also a college friend and a website developer joined the team, so the Android App development done by Ankit and Website development by Kshitij went on board. 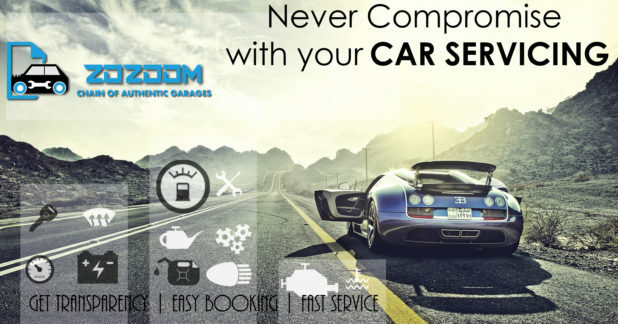 In January 2016, Ankit shifted to Bangalore to learn the tactics of how a StartUp ecosystem actually works in the current market, In March 2016, the website went live as www.zozoomgarages.com, and then the work continues and from three ZoZoom became the team of Eight Engineers, to work hard and make ZoZoom a successful Business Model. In August 2016, ZoZoom stepped into the market, by Incorporating a Pvt. Ltd. Brand under ZoZoom Car Garage Pvt. Ltd., ZoZoom entered the Jaipur City, to start with this Model, to choose a city as a first city was also a tuff choice, but the Pink city win this race because it’s the only 2-Tier city showing the most enthusiastic StartUp’s in last few year, and there are a few StartUp which have become big brands like Cardekho, Srjna. As the model was Bootstrapped by Ankit Bajaj and Rahul Prigawat, so moving to big city for this model at this stage was difficult because the operation cost in the model is too high, considering the population more than 70 Lac and more than 2 Lac cars, bring them to the million dollar market of Pink City, where customer are fascinated for StartUp culture and Investors playing a vital role in improving this StartUp culture of Pink City, some of them are Start Up Oasis, RAIN, Tie – Rajasthan and many more players. Not only the Investors but the colleges are also not behind in this culture, ZoZoom got the first support from Mr Omkar Bagaria (Director – Vivekananda Global University), He initiated to support ZoZoom on the basis of Prototype model, He sponsored ZoZoom in events, provided them with the Incubator and plays a vital role as a Mentor and Sponsor to ZoZoom. In this phase of the journey, ZoZoom was appraised in major events like “Most Innovative StartUp” at StartUp LPU held at Jalandhar, Runner – Up at StartUp Cricket League held at Hyderabad, Top 6 StartUp at Webit – India held at Gurgaon. ZoZoom tasted first media bites at NDTV Prime. It was a terrific journey for the Founders, as learning was continued in the new jobs, but making an app, website and handling operation together was a tough task with 10 to 8 job, so for 6 months without considering their comfort zone as a priority, they worked hard to develop this model and invested their sleepless nights to improve the most of it with sleeping just 3-4 hr in a day. This journey was challenging as well, Ankit Bajaj and Rahul Prigawat on getting a decent package job at Bangalore and Jaipur, it’s was tough to convince their parents on the first year of job to quit it and start creating Jobs on their own, that too for such a market for which they were less experience but passionate enough to do so. “As a young Entrepreneur, You get an privilege to experiment young marketing and operation technique with your Start Up” – Ankit Bajaj, Founder of ZoZoom. They believe in learning from their mistake, applying a right marketing strategy at the right time to improve customer acquisition before they hit the target customer and improving more and more with the parallel market of the current scenario. It’s just a start, and they are expecting to target 24k customer in Jaipur city, which is 10% of the target population. They believe in doing this with the right marketing strategy with right time and 5% is already acquired in Pink City, This Year they will bring a lot of improvements in the Business Model and In March 2017 ZoZoom will serve Delhi, and Bangalore as well with or without outside Investments. 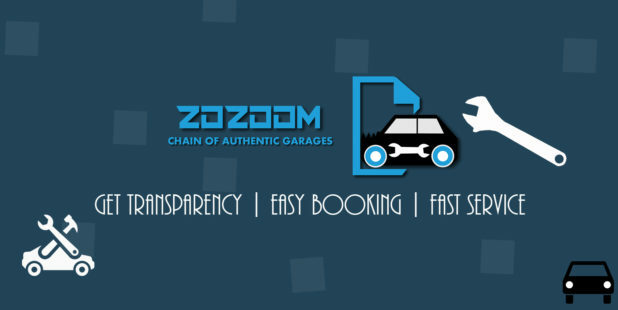 ZoZoom not only help customer to relax and save their money, but it also help workshop owners to be a part of this chain and earn some extra bugs, soon ZoZoom will start a training model which will help new Workshop to enter into this Service Industry and ZoZoom wants to build a chain of authentic garages across the Country. There exist innumerable player in market Cartesian, Pitstop, 3M, Mahindra first choice, Express car service and most important the Authorised Workshops. But ZoZoom is first of its kind, and want to cover this gap with the use of technology driven platform between Workshop and Customer, and soon they will launch a Road Side Assistance Service and 24*7 services as well. Their USP is one stop solution for all the services provided for your car, with Transparency, Easy booking and Fast Services. Name of the Parent Company: ZoZoom Car Garage Pvt. Ltd.
a. Team productivity and cooperation. b. A highly Tech – enabled platform for Garage Aggregation. c. Marketing strategy and planning’s. a. To become India’s largest marketplace for any assistance and Service regarding Automobile until 2022, as it’s still an unsaturated market. b. Building high responsive customer satisfaction. ZoZoom Car Garage Pvt. Ltd. This idea is one of its kind, i appreciate the efforts made by ankit and his team. Kudos to them.